I've seen a couple posts lately about smart playlists in iTunes and I must say... I wasn't too impressed. For the last two years I have worked on perfecting my set of Itunes smart playlists. I continually tweak them to make it as easy as possible to play what I want to hear. I have decided that I am ready to share them with you. I hope that you will find use in this guide. For my star rating system I use 1 stars to tag songs that I want to delete from my library. I find this very useful and suggest you do the same. You will see this referenced throughout different playlists. For a song to receive a "skip count" you must press the "Next" button on a song while its playing between the 2nd and 20th second of the song. If you hit next before or after this it will not count as being skipped. This means that sometimes if you want a song to receive a skip count you will have to start it over and wait for it to pass two seconds to skip it. 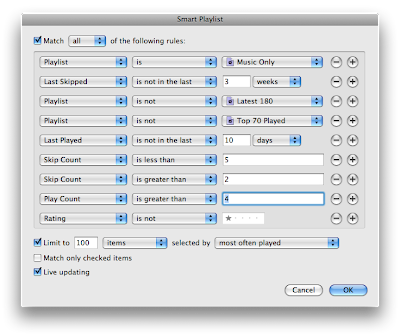 For a song to receive a "play count" the end of the song must be played. This means even if you "scrub" a song all the way to the end it will get a play count, but if you play a song, but hit the "Next" button before its over it wont get one. One of the most basic and yet one of the most important playlists is my "Music Only" playlist. This weeds out all of the audiobooks, podcasts, comedy, video, and music that i don't regularly listen to (German and classcal). 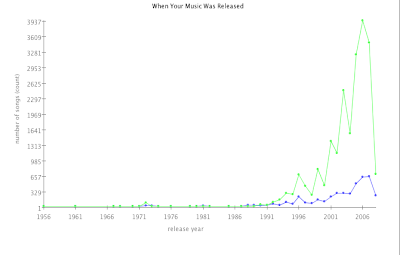 It also excludes songs that are really short or really long because those are usually filler songs and stuff on albums. This playlist will be referenced in most of the following playlists so make sure you get it perfected. Ok... now lets get a little more complex. My "Newest Hits" playlists brings up songs that appear to be songs that I have just begun to like. Notice that it excludes a song if it was one of the last 180 songs that I have played so that songs aren't repeated too often. "Popular Songs" brings up more established songs in my library, but avoids over-played and over-skipped songs. 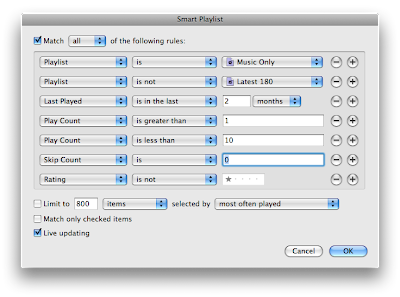 It keeps the music selection fresh by not playing one of the last 180 songs played or a song played in the last two weeks (whichever is longer) and also avoids the top 70 most played songs (because they are likely to be over-played). It doesn't exclude songs until they've been skipped 3 times, but wont play a song that has been skipped in the last 6 weeks. I keep this playlist limited to 6 hours just in case I forget to turn off my ipod or something. 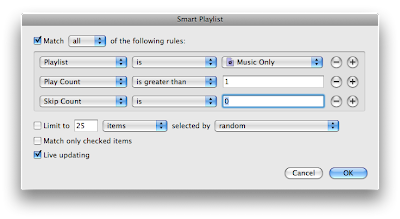 This limits the damage to my playlist caused by unintentional play counts. The next couple playlists I named with a "*" in front of them so that they show up first on my lists of playlists. 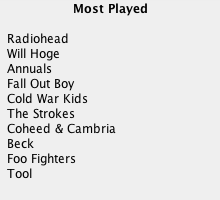 This was mostly because I bought an "iPod ready" stereo for my car, but it took an eternity to scroll through playlists. This made these playlists more easily accessible. "*Discover Mix" plays songs that I haven't really listened to in my library. As you can tell by the title I use it to discover new songs. *Good Mix is one of my newer playlists. Its not a very original name... i know. After using smart playlists for a long time and after using the skip count to help your playlists "learn" what you want to hear some songs get pushed off into places where no playlist includes them. This playlist finds those types of songs that I might still like. These songs tend to be more established songs in my library. Great for when I'm feeling a little nostalgic. I love my podcasts, but iTunes didn't have the greatest options for finding and playing podcasts that haven't been played yet. The little blue dots used in the "Podcast" section only indicate podcasts that haven't been played at all. 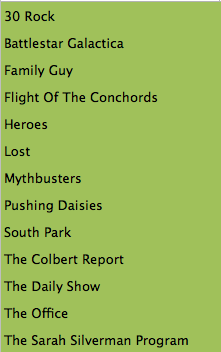 I wanted something that would show the podcasts that had not been played all the way through. I created the four following playlists to help me with this. 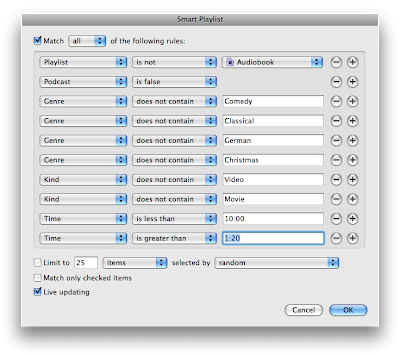 I also split them between Audio and Video podcasts and split those between long and short. You can obviously change these around to your needs. For a while I used the 4 star rating for songs that were NSFW, but have since gone away from that. Between all of these playlist I can always find a way to make iTunes or my iPod play what I'm in the mood to hear with as little searching as possible. If you see anything I can do to improve on this or if you have any other feedback I'd love to hear it. Otherwise, enjoy your new playlists! I've started running and in the tradition of tracking my life statistics I've charted my progress. 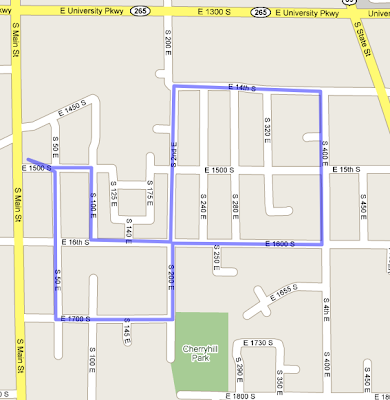 I don't always run the same route, but I use this one to see how i've improved. The charts will stay up to date so if you want to see my progress you can always come back to this post. 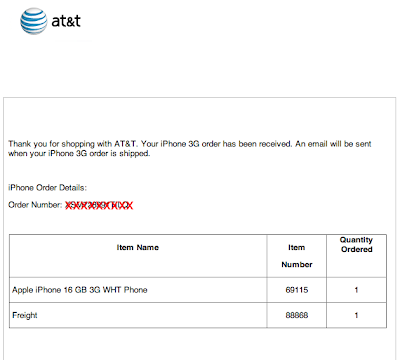 I haven't bought a new cell phone in more than two and a half years so yeah.... im excited. Just have to wait a week or so to get it. Have you met Jamie Lidell yet? He's my new friend. I love tracking my personal statistics. I feel obliged to share a couple with you. Please let me know if i'm missing any numbers that you may be interested in.